Sure Google offers automatic sync option to backup all your contacts, messages, etc. But people still feel the necessity of an offline option. Nokia has its PC / Ovi Suite, Apple has iTunes even Blackberry has its own BlackBerry Desktop manager.I have always felt the need to have a PC Suite for Android phones. Interestingly, Google doesn’t make a ‘One Application Fits All’ option for its Android Mobile Operating System. 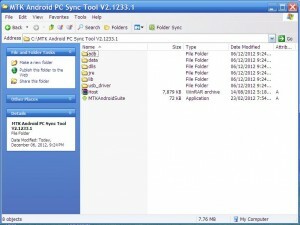 A little digging will reveal that there is no such thing as Official Android PC Suite From Google. Hence when I had to backup data from Micromax A110, I was stumped for an offline option. Sure I could simply tick the ‘sync’ option & be done with it. But that would mean all my contacts, messages, application installs, everything would be stored in the clouds, away from me. Turns out, though Google has left us high & dry for want of an offline PC Suite to backup our data, it’s up to the Chipset makers to come-up with a solution. One of the most leading chipset makers apart from Samsung is Mediatek. The company makes System On a Chip (SOC) processors that drive many of the affordable smartphones. Makers like Spice, G’Five, Micromax have most of their Android based smartphones running on some variant of Mediatek Processor. Rule of Thumb: If your smartphone is big, yet affordable, chances are you have a Mediatek processor running the show underneath that Capacitive screen. 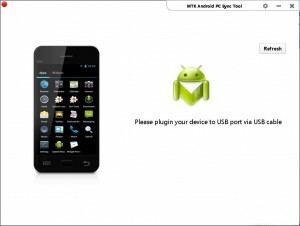 So here I present a PC Suite For Mediatek processor based Android Smartphones. 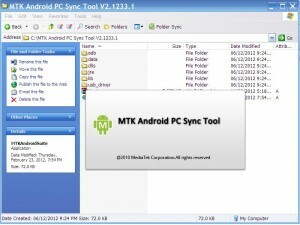 Known simply as MTK Android Suite, this PC Suite will work on ALL Android based Smartphones having Mediatek Processors. To Use the PC, ‘USB Debugging’ Needs to be Activated. If not familiar with the Option, head to Settings-> Developer Options-> USB Debugging. Or In some cases Settings ->Applications -> Development -> USB Debugging. Hit OK at the prompt. Select your Phone & Click ‘Connect’. 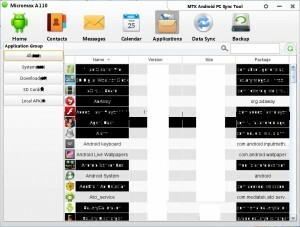 Once connected successfully, the program will offer multiple options to view, edit, save, delete SMSes, Apps, Phone Records etc. One of the interesting features besides SMS, Phone Record management is the ability to Uninstall non-system applications. Though you can do this very easily on the phone itself, it’s good to have another option too. To Uninstall select the ‘Downloaded’ Tab on the left side & you will be presented with option to remove applications. 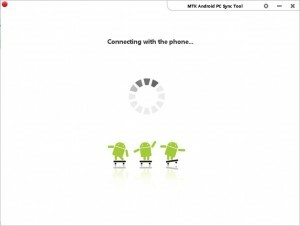 The Android OS is built very imaginatively & can work well even without a PC Suite. However, having one’s data stored locally offers some peace of mind. Besides, the application offers to save contacts in CSV format which other phone manufacturers like Nokia, BlackBerry can read too! This opens up a new avenue to transfer contacts between different Phone OSes. 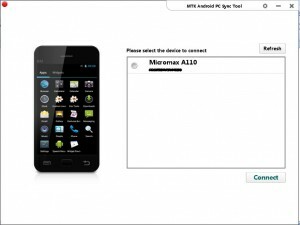 Do let us know your experience of using this application for your Mediatek based Android Smartphones.